A cochlear implant is a small, complex electronic device that can help to provide a sense of sound. People who are profoundly deaf or severely hard-of-hearing can get help from them. The implant consists of two parts. One part sits on the outside of the body, behind the ear. A second part is surgically placed under the skin. An implant does not restore normal hearing. It can help a person understand speech. Children and adults can benefit from them. Article: Bilateral Cochlear Implantation: A Health Technology Assessment. 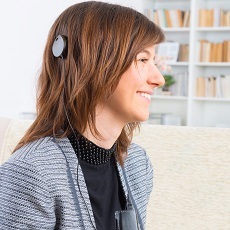 Article: Neuromonitoring During Robotic Cochlear Implantation: Initial Clinical Experience.